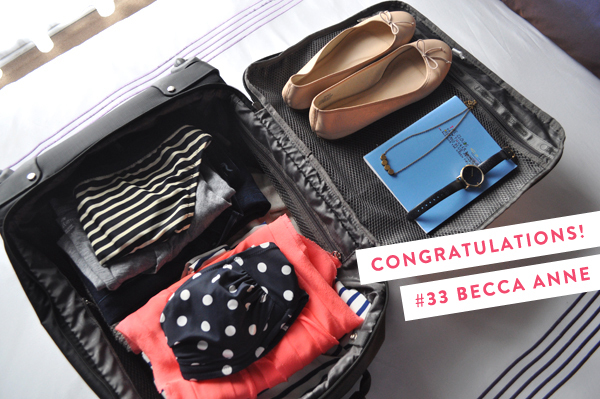 Thank you all for entering this giveaway with Lesportsac - it was so fun reading about your favorite weekend getaways! The lucky winner is entry #33, Becca Anne! Please email me so I can connect you with Lesportsac. And a huge thank you to Lesportsac for sponsoring this giveaway!